GALION — The Galion Fire and EMS Department received $151,096 in FEMA grant funds last fall, with a $7,554 local match. Approximately a third of that money, $46,000, paid for health and wellness improvements to benefit the staff. Since the award, firefighters have worked on building a weight room inside the garage where extra vehicles and equipment are stored. They built an interior room in order to separate the fitness equipment from fumes and keep it clean. All work was done in-house. Old fitness equipment was replaced and the floor in the weight room has padding so they no longer need to work out on concrete. There is an overhead speaker and radio installed in the room so calls can be monitored. 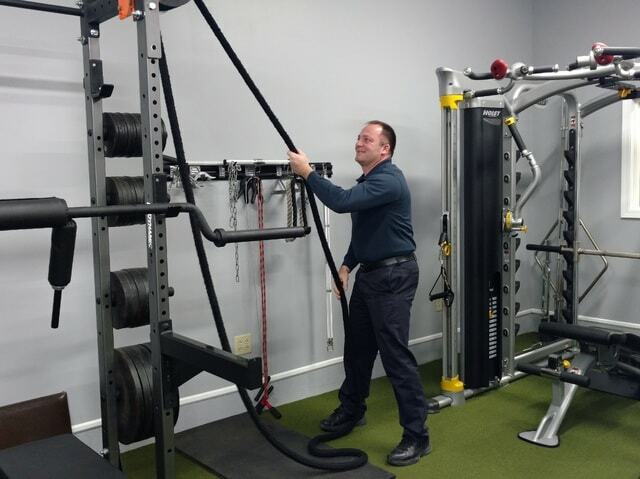 Off duty police officers are able to use the weight room as well. Health and wellness initiatives will help the safety forces maintain their ability to perform their jobs and cut down on sick days and insurance claims. Also, $111,000 of the grant was previously used to purchase three cardiac monitors to replace existing, out-dated monitors. They will improve patient diagnosis so the hospital can be notified of a specific condition and type of care needed. They also feature carbon monoxide monitoring for firefighters to test smoke exposure. The final grant project is the installation of a second shower. Remaining funds will be spent on skin cancer screenings, physicals and vaccinations for the staff.